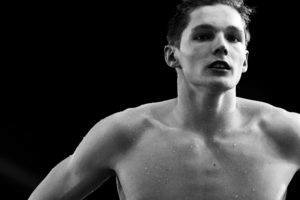 Team England swimmer Ben Proud is renowned for having one of the world’s best starts. 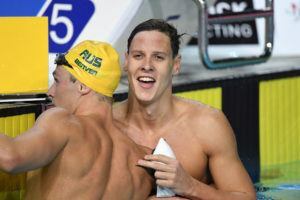 In Thursday’s prelims, in his first swim of the 2018 Commonwealth Games, Proud’s start may have been a little too good – he was called for a false start, a rare occurrence at this level of sport. Proud’s start, which was shown in this photo by BBC broadcaster Nick Hope, looked electric to the naked eye, but officials called it a little too good, saying that his leg moved before the starting signal. 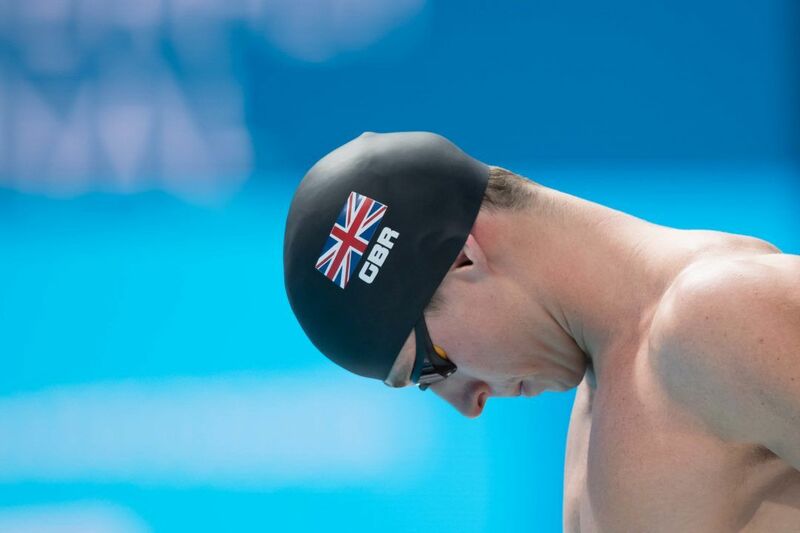 Ben Proud’s start look PHENOMENAL but apparently it was just too quick & the 50m fly world champion – who would have been the quickest qualifier – is disqualified! “Coming into the competition there is always apprehension ahead of the first race,” he said. “With fans in the crowd, I wanted to give them something to cheer about by delivering a fast time. Proud’s recorded reaction time did not show on the official results. 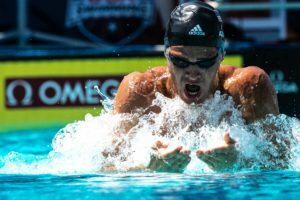 Under relatively-recent results, because his false start didn’t appear to impact other swimmers, the heat was not recalled and the false start was assessed at the end of the race. Proud was the top seed coming in by almost a full second and a near-lock for gold (22.75, Dylan Carter seeded 2nd in 23.73), and would’ve had the fastest time in prelims were it not for the DQ. In his absence, South African Chad le Clos qualified 1st through to the semi-finals in 23.53 followed by Carter in 23.62. Aside from Proud, not contenders were eliminated in the prelims. Proud is the defending Commonwealth Games champion in both the 50 fly and 50 free, as well as the defending World Champion in the 50 fly. Really heartbreaking. He waited 4 years for this meet and got DQ. And he only has one more individual swim… 50 free. ? Yes. So sad. He could have won 2 golds. One would hope a swimmer takes multiple kicks on a butterfly race.